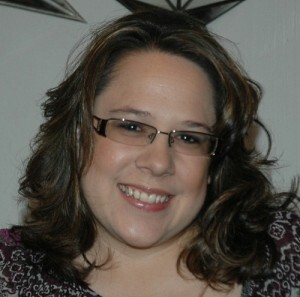 Lori Falcon is well known as a top blogger among other bloggers and advertisers. If you read through other interviews of bloggers here, you’ll see her name mentioned as a recommendation along with the comment about her being real, authentic, friendly and a mentor. She is all that and much more including an inspiration to show how hard work and being honest can get you working with big and small advertisers. Lori makes time to help so many people. I’ve never seen her turn down a request for assistance. Learn more about her and her philosophy about blogging. Tell me about your Blog – I’ve got two; A Cowboy’s Wife and My Wooden Spoon. One is an “everything” blog focusing on photography, my ranch family, and my adventures and the other is a food blog with step by step photo tutorials. What is the biggest tip you would give to product reviewers? That just because you are given a product to review, it doesn’t mean you have to get all technical and boring with it. Trying thinking outside the box when writing it and always remain authentic. Whether you realize it or not, people can see through the fakeness. An example of mine is my most recent one for my washer and dryer. It’s very simple, not too wordy and sometimes pictures say much more. Oh, and learn to say no. You don’t have to review EVERYTHING. Are you contacted by advertisers or do you contact them or both? I am mostly contacted by advertisers. If interested, I email back. If not, I usually end up deleting due to lack of time to response, however, I suggest if you can, to respond with a yes or no. I’ve only reached out to a couple, Dyson being one of them. I reached out because living on a ranch, we desperately needed a vacuum that truly worked and I had heard all the hype about them. I pitched and they said yes. When you pitch like that, I suggest you include a couple of sentences about you/your blog, your stats, and something you’ve been recognized for. Make it short because like many of you, they are bombarded with pitches all day from bloggers. And while many try to be all professional in their pitch, I always, always pitch in my normal voice. What is your favorite product that you have reviewed? Oooh, this is a toughy and one that would be hard to narrow down to just one. 1) My Dyson because it really is the best vacuum ever. 2) My Frigidaire Affinity Washer and Dryer. I actually enjoy using them. What do advertisers do that you wish they wouldn’t/ do that you like? I hate when they assume I’ll write about them. I love when they take the time to read through my site and find out more about me and my family. What do bloggers do that you wish they wouldn’t/do that you like? Hmmm….I hate when bloggers use their blogs for negative attention. Just because I’m not out there griping on my blog about this or that, doesn’t mean I haven’t taken measures to get the situation rectified. I just think there are more professional ways to handle things. I LOVE to see bloggers be genuinely interested in something and acts of selflessness. What advertiser would you like to work with given a chance? Oh man…another hard question. Well, I would love to work with an automobile company, specifically Ford, Chevy, or Dodge. Now before you criticize me about not choosing ONE of those three, it’s because we enjoy all three. We have three trucks—89’ Ford, 02’Chevy, and a 04’ Dodge truck. So it would be a tossup. But since the chances of me ever getting to work with them are probably pretty slim, I’ll say. When you mentioned the 3 car companies or any other large advertiser that you want to work with, do you just dream about it or do some particular actions to make it happen for you? I know how hard you work on your blogging, so your pitching must take a lot of work too. Can you describe a bit without giving away any trade secrets, about what you do or suggestions for other bloggers? I just dream about it at the moment. I may one day decide to pursue it but until then, I’ll just hope I get that magic email;) When I pitch (which is very seldom), I write a brief paragraph about me, my blogs & my family. My pitch is in the same tone as my writing voice. I don’t change it up to be more professional or anything, I just keep with who I am. I try to keep it short and sweet and let them know that I’m available by phone or email to answer any questions and provide any stats or testimonials. No secrets really…..
You’ve been recommended by other bloggers on Murray’s blog and complimented online a lot. The most common thing I hear about you is that you are honest and can be trusted. How do you think you gained people’s trust? Gosh, thank you! Not sure how to answer except that I think my authenticity is transparent. Transparent being another keyword—I’ve always been honest with people about my intentions, my success’s, my failures, and feelings. I’ve shared personal stories of sadness and laughter and just think people see me as a genuine, regular ol’ country gal who dropped out her Junior year, raised a family starting at the early age of 16, but is successful both online and off despite those hard times. That might be a better question to ask one of my readers I suppose……. Do you consider yourself an authority when it comes to being a product reviewer? No need to brag, but I do and so do many others. What do you think it takes to be an “authority” in this field? I don’t review just anything so when I do review a product, I put a lot into it. While I refrain from product bashing & tend to focus on the positives, I do try to point out anything that could be improved upon in an adult, respectable manner. To be an authority, I believe it takes creativity, transparency, honesty and mannerism. I acquire all those, so I guess yes, I do see myself as an authority in the field. How do you maintain your work and family life? I know how important your family is to you. I’ve seen that you’ve been taking some blogging breaks, are there other things you do? How do the breaks fit in to your maintaining your blog status and your work relationship with advertisers? Where do you see growth in the blogging field? In communities. Having a blog is great but building a community is even better—whether that be through forums or some other creative outlet. What is one thing about you that not many people know? Well…I’m a fairly open book. I guess people are still surprised to know that I’m a high school dropout with no education. But something that people really don’t know……. What’s your favorite book? I have this one book that is close to my heart, not because I read it but because it was the book I gave my mother-in-law. A book that she was reading while she was dying. She was the last one who touched it, who read it, and it will always be my favorite. What is on your iPod? Everything you can imagine. Spanish songs from my Father-in-law & Linda Ronstadt, Rap from Eminem, Country from George Strait, and Rock from Led Zeppelin. Not to mention my favorite 80’s music and novelty songs. I LOVE music and my iPod is what gets me through the airplane rides. What events do you go to? I go to the ones that I feel are beneficial to me & my family and that are worth the time away from my family and those that I truly want to be at because I love the company. There’s an event and conference created every day so it’s important know your priorities and what you’ll get out of it by attending. My 3 favorites are Stouffer’s ( I could live on their lasagna), TJ Maxx/Marshall’s ( LOVE their prices, products, and how they handled the event), and Sea World. How do you prefer to communicate? Email, phone, twitter, & facebook– in that order. Who would you recommend, and why? It depends on what I’m recommending them for……..
Rachel from A Southern Fairytale – She’s genuine, kind-hearted, and selfless. I adore her. I could go on and on but I won’t. I’m inspired by many people for different reasons and could recommend a ton but frankly, I hate this kind of question because someone is always left out or not mentioned and then it ends up making them feel bad……All three of these ladies are extremely positive and that is what I try to surround myself with which is why I mentioned them. I know Lori very well. She’s one of kind and has a heart of gold. I also know she hates interviews lol. This was a good one though.